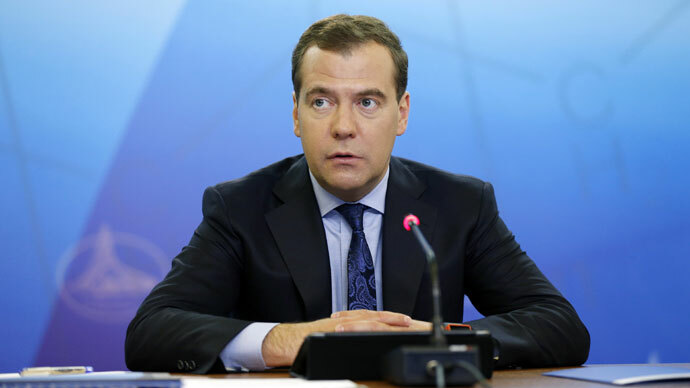 Russian Prime Minister Dmitry Medvedev said he was “unconcerned” by persistent rumors that his government will be dismissed amid slowing economic growth and a failure to implement Vladimir Putin’s pre-election promises. "The government will surely get dismissed, there's no doubt about that. It certainly will, it's just the question of time. This is an issue which will be always stirring our political sphere while the president and the prime minister represent two different branches of power," Medvedev said as quoted by Interfax, adding that there will always be grounds for such rumors as "we live in the new era." "Endless talks of the government dismissal don't help... but as for me they do not bother me because otherwise I would not be able to work at all," he stressed. who have not been toughened up as much.” “I’ve told my team, don’t worry, sooner or later you are all going to lose your jobs. That’s life,” said the former President on Russian channel NTV. Russia’s GDP growth forecast was revised downwards to 2.4 percent for 2013, the smallest increase since the world financial crisis in 2009. Earlier this month Vladimir Putin scolded the government for failing to fulfil a series of ambitious plans, issued after his re-election for a third term in the Kremlin, that have been dubbed the May Edicts. The plans, formulated for the entire 6-year presidential term in 2012, charted a series of massive reforms that would lead to a better standard of living, the creation of a favorable investment climate, and more efficient governance. The man responsible for carrying out the Edicts, Vice Premier Vladislav Surkov (considered an ally of Medvedev) has voluntarily left his post, which many believe he would have been fired from. Medvedev has defended his government, and says that despite public reproaches, his relationship with Putin has not been damaged. “As in the past, relations between me and the President remain friendly. 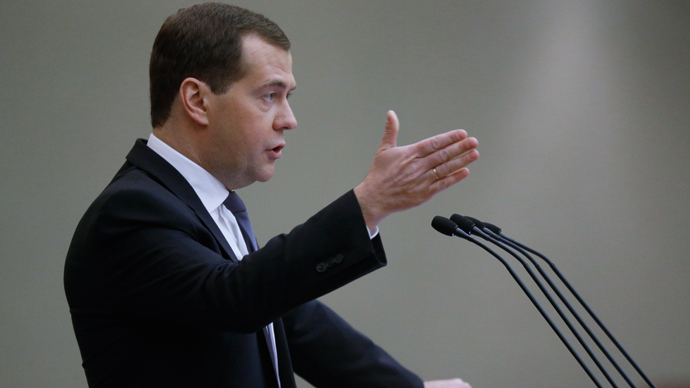 If it weren’t so, you would have probably had a different government by now,” said Medvedev. The media have touted respected former Finance Minister Aleksey Kudrin as a potential replacement. 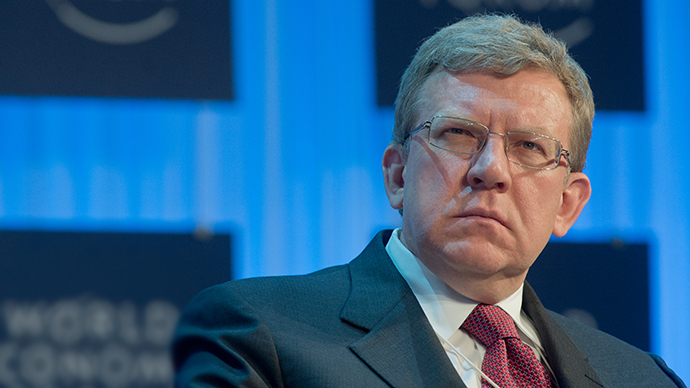 Kudrin left the government two years ago, and has since consistently criticized the government for failing to carry out economic and political reforms, saying that Russia has entered a period of stagnation. He recently dismissed the government’s record as “unsatisfactory”, and refused to comment on whether he would return to the fold. 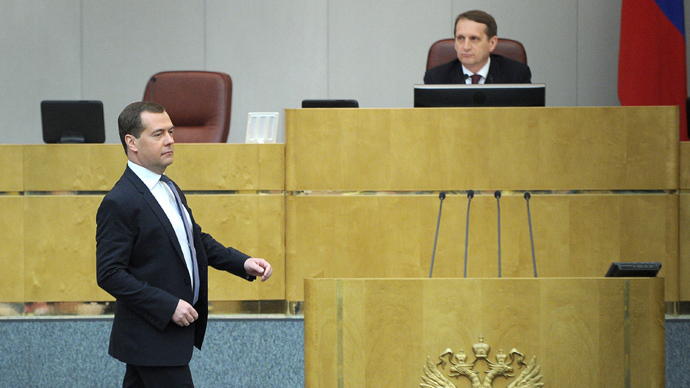 Experts say that even if he manages to stay in his post, Medvedev faces a rough ride. “Considering the current economic situation, there is no way to carry out the May Edicts, however much the President demands it,” Aleksey Makarkin, from the Centre of Political Technologies, told Mail.ru news portal. Mikhail Remizov from the Institute of National strategies believes that the “reins of power are held exclusively by Vladimir Putin”, and Medvedev is a “technocratic” Prime Minister, who holds no power of his own. 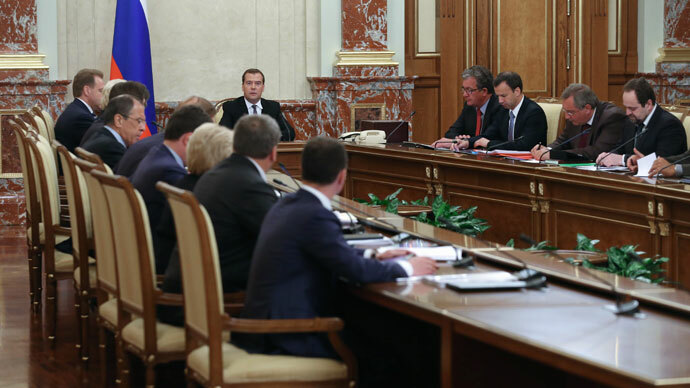 Remizov believes that Medvedev is likely to preserve his position, as the Prime Minister is both loyal, and can easily be made into a scapegoat if the economic situation continues to worsen. In the worst case scenarios predicted by economic experts, Russia could slide into a recession latter part of 2013, particularly if demand for Russian energy does not increase in crisis-stricken Europe.